From great dreams come great things. So it is with Barefoot Resort, the realization of a dream that brought four members of golfing royalty together to help create an unmatched golf and resort experience. Since the Resort and its four courses extraordinary opening on the same day in 2000, this lush, sprawling 2,300 acre resort has set the new standard for great coastal living along the Grand Strand. At the heart of Barefoot Resort are four acclaimed courses designed by golf legends Greg Norman, Davis Love III, Tom Fazio, and Pete Dye. 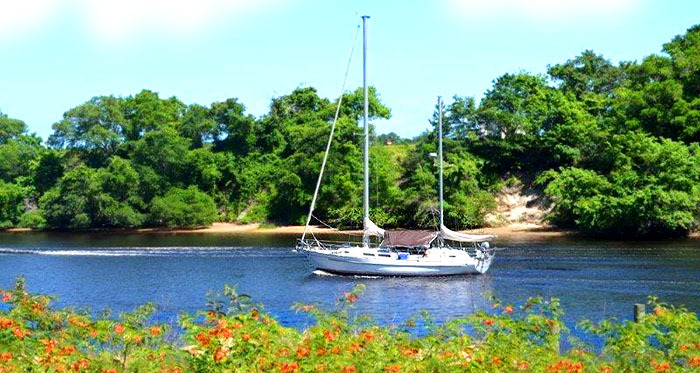 Of course, Barefoot Resort is also a great place to live and play. Developed along the Intracoastal Waterway with an unprecedented sensitivity to Mother Nature, the resort is a superlative example of living in harmony with nature. And there are more than 15 unique Barefoot communities with housing options to fit almost any need or budget. A sanctuary for its residents from the traffic and noise of the outside world, you know you’ve entered a world apart when you cross over the 1930's era swing bridge that separates the resort from the rest of the world. With an array of single-family, townhomes, and condominium housing available in Barefoot Resort, there simply is no better place to look for a home - whether you’re looking for a year-round residence, a vacation home, or to retire or invest. To learn more about any of many great Barefoot Resort homes for sale, call the real estate professionals at Barefoot Realty today. 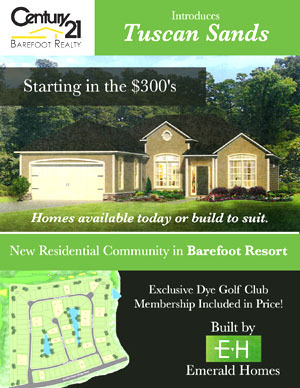 Be sure and note the page here for condos in Barefoot Resort. You can find extremely detailed information on each community of homes and condos by looking at the sidebar on these two pages, to view each neighborhood and it's available properties.